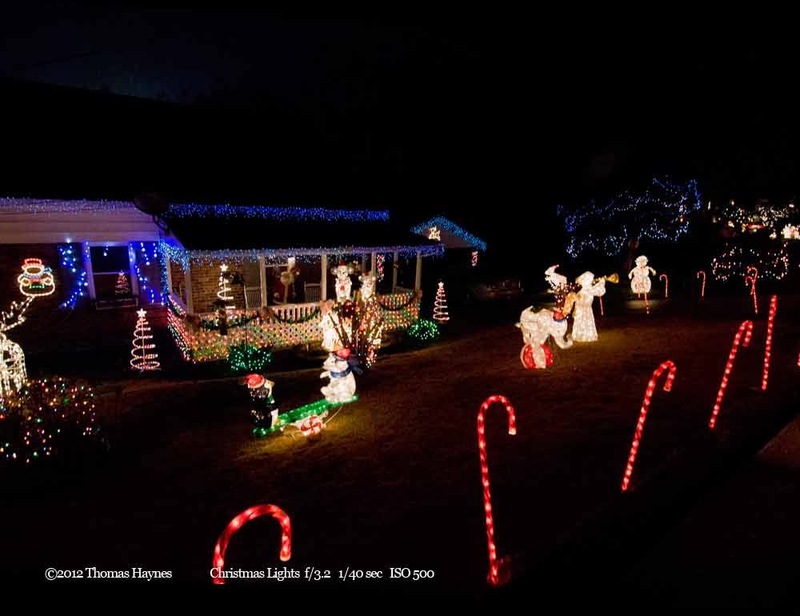 This group of night time photographs of Christmas lights and store fronts may give you ideas for this year. The photos shown are from 2009 through 2012. Three lenses were used: 1) Nikon 18-200 VR f/3.5-5.6; 2) Sigma 30mm prime f/1.4 and 3) Tokina 11-16mm, f/2.8 wide angle. 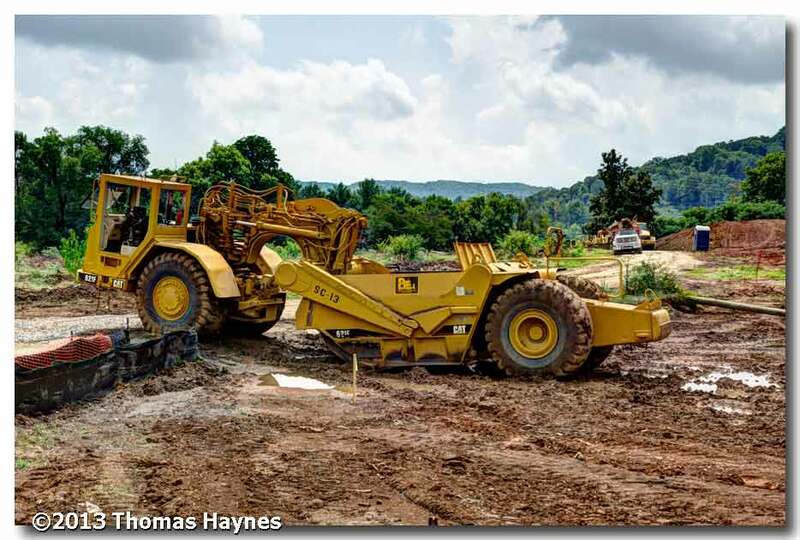 There was a tradeoff between having vibration reduction and using the Sigma and Tokina with more open aperture. Even with aperture getting closed down with zoom* on the 18-200mm lens, the steadiness allowed with vibration reduction was highly appreciated in hand held photos over the faster lenses without vibration reduction. The Tokina was fast enough for most home shots and the wide angle was very helpful in getting the large view. *Zoom lenses with an aperture range such as 3.5 - 5.6 limit the maximum opening as the zoom changes. At 200 mm, the max aperture would be f/5.6 while at 18mm aperture opens with up to f/3.5 available. Remember, the higher the f/ number, the smaller the opening for light through the lens. These photos may be classified as better than average snapshots, yet snapshots none the less. The photographer had no say in lighting or arrangement of the scenes and could not control traffic flow when photos were taken form a slowly moving automobile! 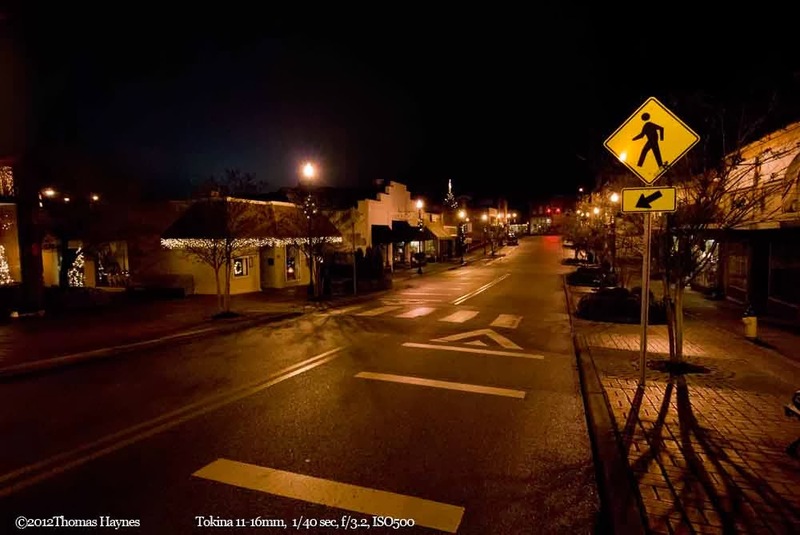 Photos in this post are the result of fun evening drives around a small town, camera in hand with a wish to get a few better snapshots of how the enthusiastic and talented folks decorate and we have the chance to enjoy it . You might find a short drive or walkabout just before or after Christmas a fun family event. Take the camera! If you have a camera capable of user controlled exposure, the suggestions in this post can help produce better photos. In writing the post, comments from the author are left to a minimum. You are asked to comment all you want and your thoughts are encouraged and appreciated. If a business contracts us to photograph their store front, planning includes arrangement of lighting, staging of the scene, time of day and custom white balance as totally necessary. Also, cameras and lenses would be chosen along with distortion correction to provide the cleanest photograph possible. That is not what happens in this post, although we might demonstrate our professional marketing style photos in a future posting. Contact us about photography you need, personal professional photography or for your business. Use the email box at the right. We will get right back with you and open the discussion and planning, face to face as needed. Shown is the ISO, aperture and shutter speed of each image and if important any other editing used. One form of editing used on a few photographs is noise reduction. This is because two cameras were used from 2009 and 2012 with the most recent scenes taken with a Nikon D7000. The other camera is a D200 and is a fine camera but does not handle high ISO or slow night time shutter speed as well in regard to digital noise. The D7000 showed essentially no noise in the night photos while some of the D200 captures needed slight noise reduction applied to get grainy noise spots out of the photograph. 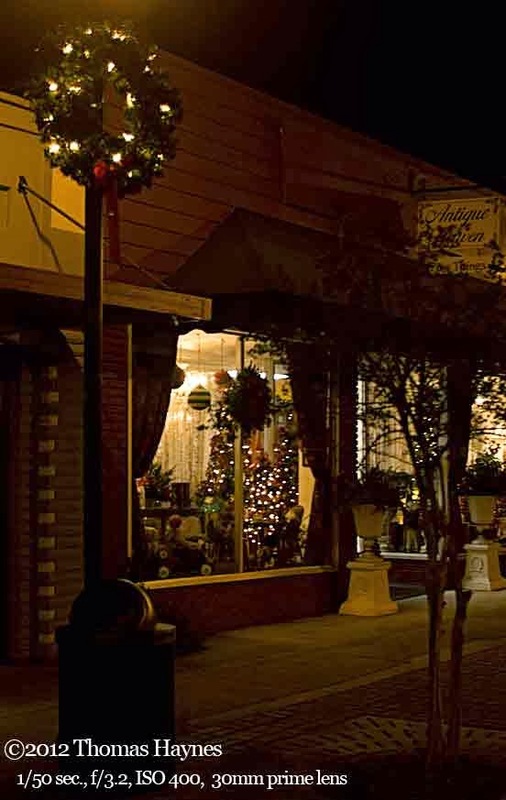 Small town, market street of many antiques stores, shot just prior to Christmas 2012. This is where store front photos in the post were taken. 1. Turn off the camera flash. Just like the useless deluge of audience camera flashes at a sports arena, the flash will not be strong enough to light the subject. In fact, any light added by a flash will totally ruin the scene...it is like turning off the Christmas tree lights. NO flash is the first rule. It is easy to overlook this basic rule. You want colors and lights to show and must turn off the flash. 2. 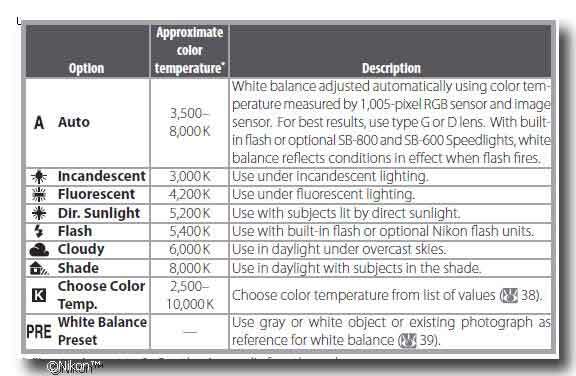 If your camera allows it, set the ISO manually and do not use automatic ISO. 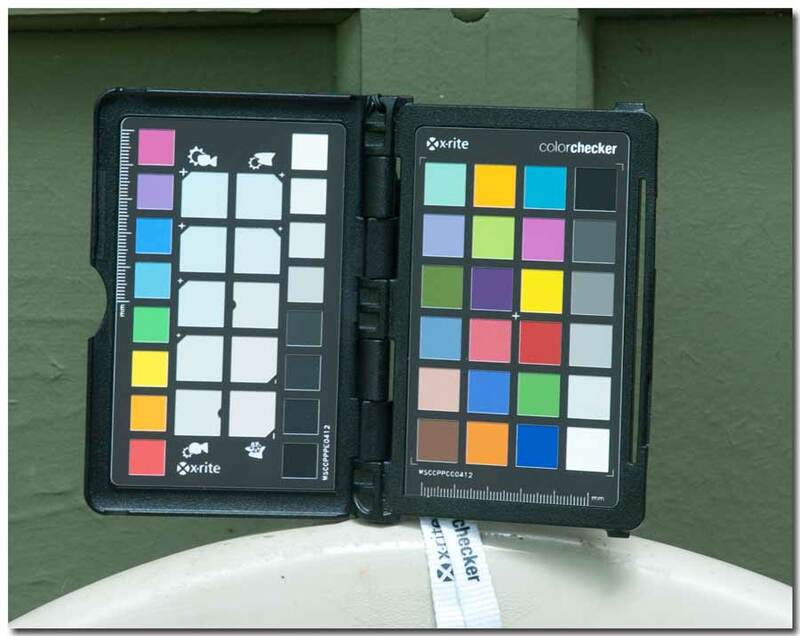 The interaction of a changing ISO "film speed", shutter speed and aperture may create too much variance in your photos and also cover your photos with the speckles of digital noise, a result of using too high an ISO. You have time to go out one evening soon and take photos outside a shopping center or other lit area. Try starting with 500 or 600 ISO and aperture adjusted as you shoot until you find the best combination. 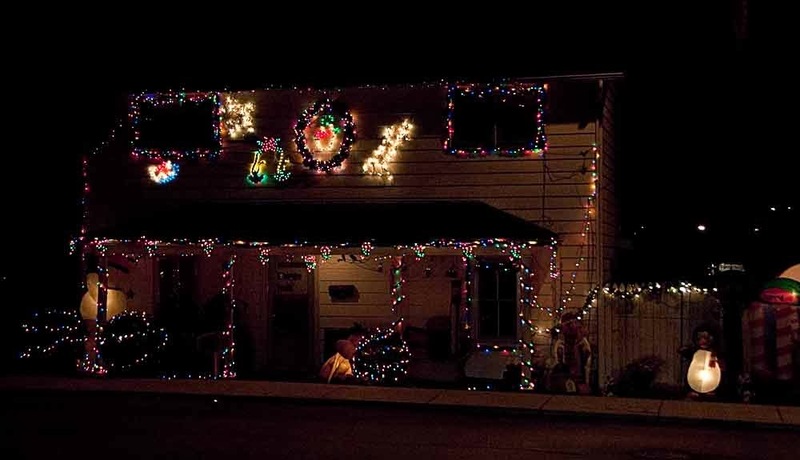 You can always change the settings if needed when actually doing Christmas lights. If not using a tripod, try to keep shutter speed set at 1/50 sec and not slower. Having vibration reduction may allow you to shoot slower and get away with it. 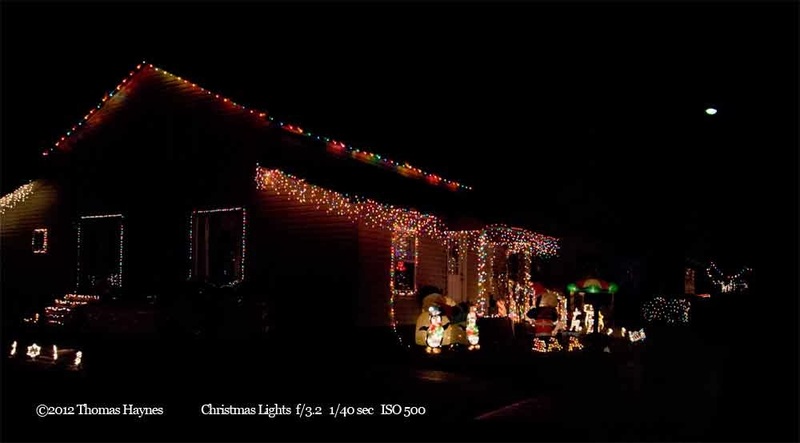 Try this before you actually go out to shoot the Christmas lights. 3.Higher ISO makes for more sensitivity to the light available, allowing a faster shutter speed. However, in some cameras serious digital noise in the photos is the result. Try it at night before the event. 4. Take in the whole scene and also closer shots. When done, you can select which shows the best view and crop wider shots for a different point of view as in the photo below. The same store front is shown as below. The lamp post turned out to be distracting rather than a strong element in the composition. Background of the upper post spoils it in my opinion. The store front from above, emphasis on windows: I believe this is a better photograph than the previous one. What would your choose? The Sigma 30mm is a gem for this type of photo. Here is an example of a an old photo from the "almost deleted" files, salvaged to be acceptable by cropping off the blurry deer lights. The slow shutter speed led to blur which was much more apparent in the lights than on the Santa figures. The full image looked ok in the camera viewer but seen larger on the computer monitor it did not cut it. Blurry reindeer lights made for a poor snapshot and the composition is off balance overall. Remove the deer and the photo is still a snapshot but much better than the one below. 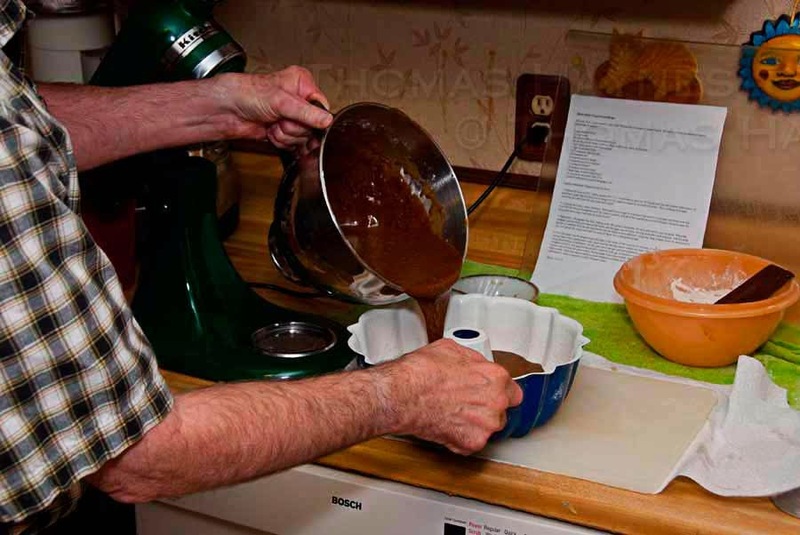 A tripod would have improved the photo and help eliminate the blur from camera shake. All houses were photographed from a passenger side of the vehicle. 5. Use a tripod or other support when possible for a steady shot at slow shutter speed. Walking around the antique stores in this town, the more dimly lit shots were done with a tripod to minimize shake, even with vibration reduction on the lens. The wider lenses do not have VR and the tripod was very welcomed. 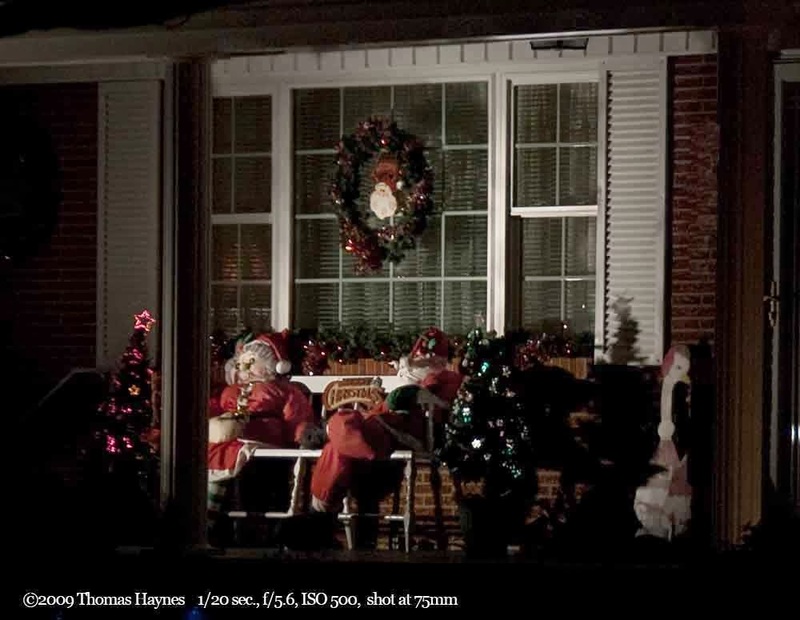 When shot, the intention of these photographs was to tell a piece of the story of Christmas lights and outside decoration found in an older small town. Often the older and smaller homes boasted the most elaborate lighting schemes. 6. Notice the camera settings used in these photos. The settings are a balance between depth of field and shutter speed. Depth of field determines what is in focus. At a distance, you can use a more open aperture and still have good focus form the front to the back of the photo. Up close, a wide open lens will leave some areas out of sharp focus...that is the nature of rules of optics. The settings used allowed a reasonable ISO combined with acceptable depth of field and shutter speed. Slow shutter speed calls for resting the camera for support, using a tripod and or using a lens or camera with vibration reduction. Following are photos from 2009 and 2012. Enjoy the snapshots and notice and notes and hints. That is it, essentially. 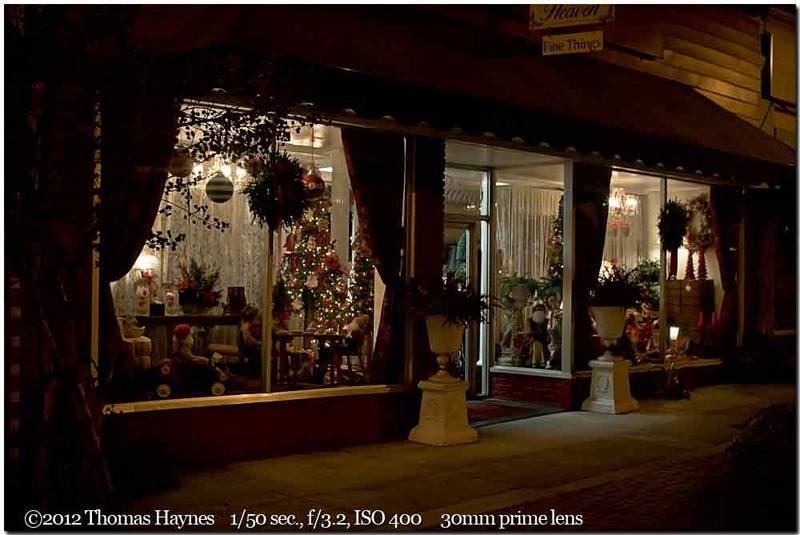 So, we at Thomas Haynes Photography wish you a wonderful holiday season, Christmas and New Year's are left to celebrate. God Bless and Joyful Peace to All. 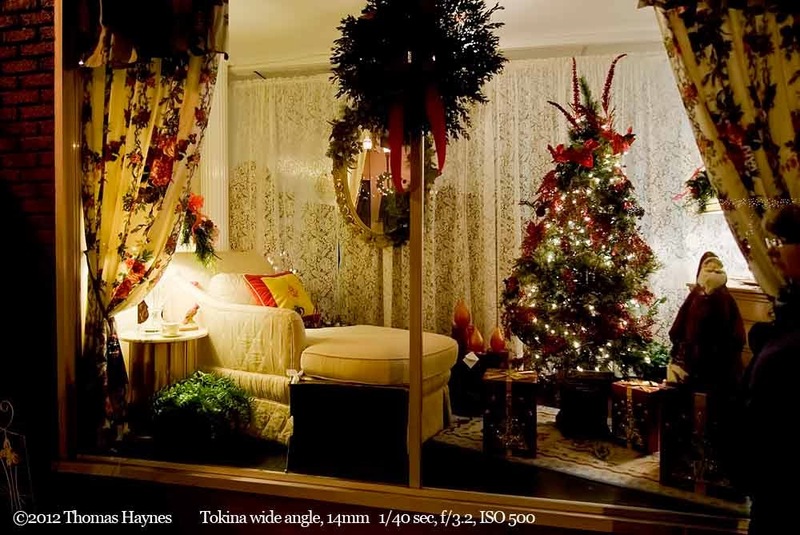 If you get some neat holiday decoration photos email us and we might post your image on this blog. Use the email box here and we will write back with an email address you can use to attach a photo, or email us with a safe link to your photo. Please include description and approximate location( country and state or province). The street of stores at night. Notice color from street lights. Since lighting in store windows was different, auto white balance was use and did ok. The warmer color was suited to the evening scene on a cool night. A walk down the street revealed Christmas in almost every window, done nicely in what was expected for antiques stores...nostalgia. The front yard was quite small so they lit the roof ! All the following photos were shot at the same settings of 1/40 sec., f/3.2, ISO 500 and camera steadied on the auto window ledge. 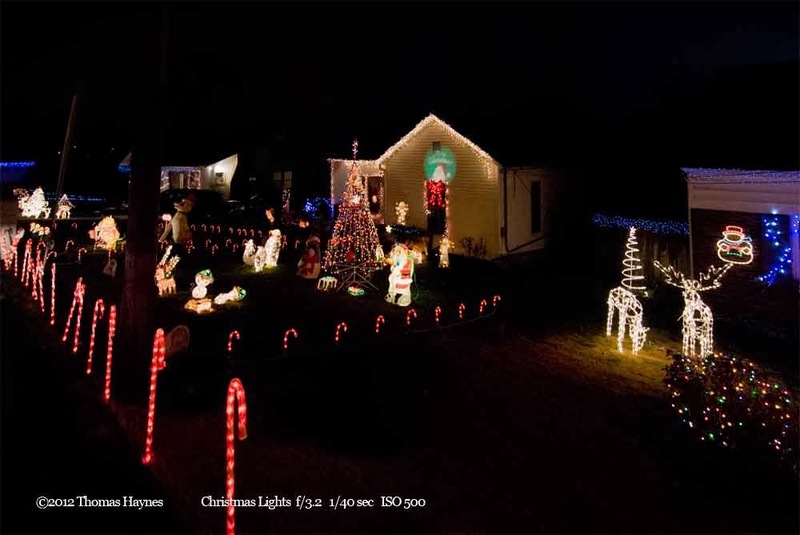 This older neighborhood always takes pride in presenting a fun display of Christmas lights. There is a lot of traffic on the street where these homes are located, one next to the other or across the street. Thomas Haynes Photography is the place to get great professional photos of your pets and animals in 2014. We are starting the year with a greater emphasis on cat, dog, horse and other animal photos of the quality you will want on your wall and will be happy to display. Our professional photo lab provides excellent work in prints and also provide booklets, novelties and other photographic applications. 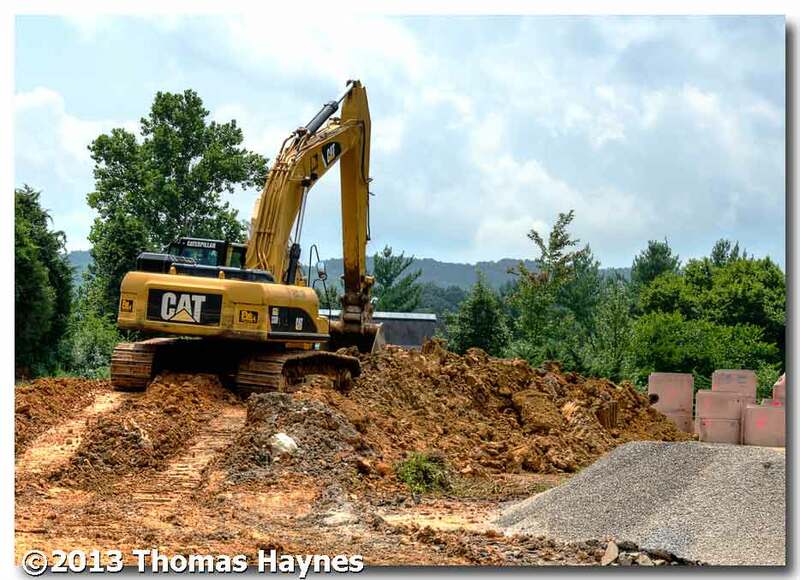 Our work is generally within the Tennessee counties of Knoxville, Anderson, Roane and contingent area. Think Knoxville, Oak Ridge, Clinton, Kingston...and somewhat beyond. Exceptions may be made and photography work done beyond our normal range. We like to show the animals in their home habitat, where they live and how you interact with your pets. These are the events from which memories are truly made. Formal photos? Sure, we do those but you need to know about the "at home" touch for your family and your animals. Rehabbers...if you rehab animals or birds and need pro photos of your work, contact us. 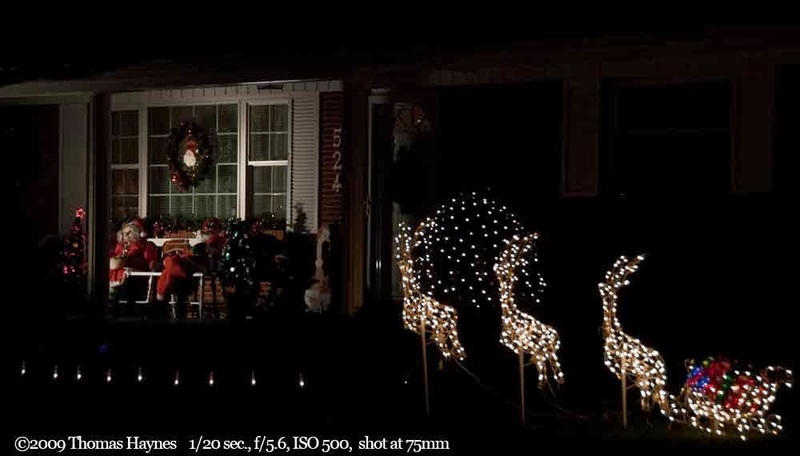 Schedule Your Outdoor Photos Before the Holiday Season Goes Wild! We do all sorts of photography and a quick look at the previous posts will show that. Yes, besides commercial photography to show your clients "how we do it best", telling your story in eye catching photographs, we love to photograph where your animals and pets live. Memories of pets are best when photographs show the actual living of the dog, cat or other animal, interactions with family and kids. Contact us soon prior to the wildness of the holiday seasons coming on us! (Email form is at right.) The photos here were serendipity...but with yours we observe first then talk it over with you to follow the lead to the best photos. We specialize in on location photography. You will see us mostly in cities and counties around Clinton, in the Greater Knoxville area..Knoxville, Clinton, Powell, Anderson County, Knox and surrounding. IS THIS YOUR DOG? LET US KNOW FOR A FREE PRINT! Here is a blue eyed sheep dog we saw at a special place in Kentucky on November 2, 2013. A mile or two and we would be in Virgina. Once in a while a non-posed pet strikes us as special and it is not always looks. Disposition has a lot to do with us picking an "unknown to us" pet and offering a free print. You just need to contact us and confirm where this photo was taken and what was around you at the time. Now email for info on photographs for family, pets, animals, your stuff and loved family with the critters. 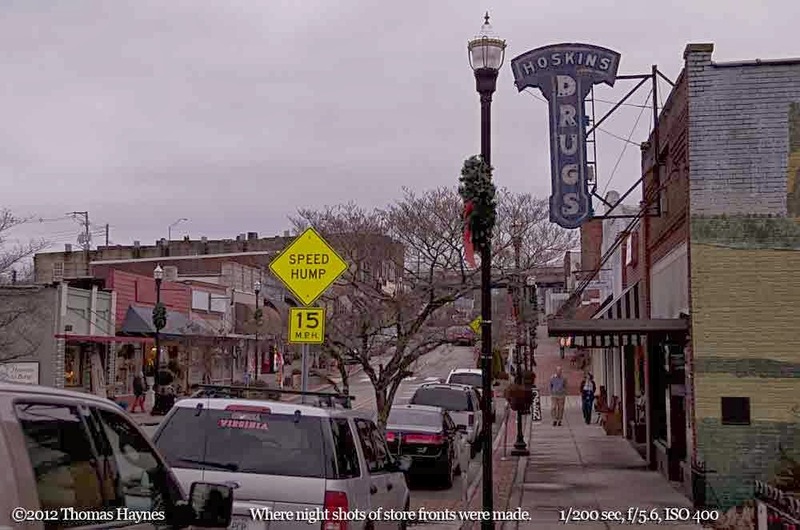 We work out of Clinton, Tennessee with in a reasonable driving distance. 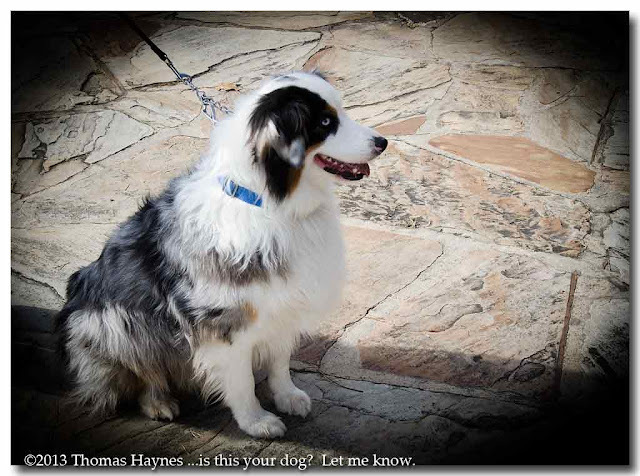 We are Thomas Haynes Photography and this is our Photoshoot Blog. "How to show what we do" is a vital consideration for a service business. Whether you are a baker, caterer, auto body repair specialist, landscape artist, home remodeling contractor or you name it...using professional photography to visually tell your story is effective marketing. Eye catching photos tell the story with visuals worth, yes, thousands of words. Well done photos of finished work show what the customer may expect and before and during photos clearly show your expertise. Websites like "thumbtack" will list services and the customer may go through a check off list of items to eventually find a contact or ask for a quote. While it works in showing what businesses are available there is little to inspire. 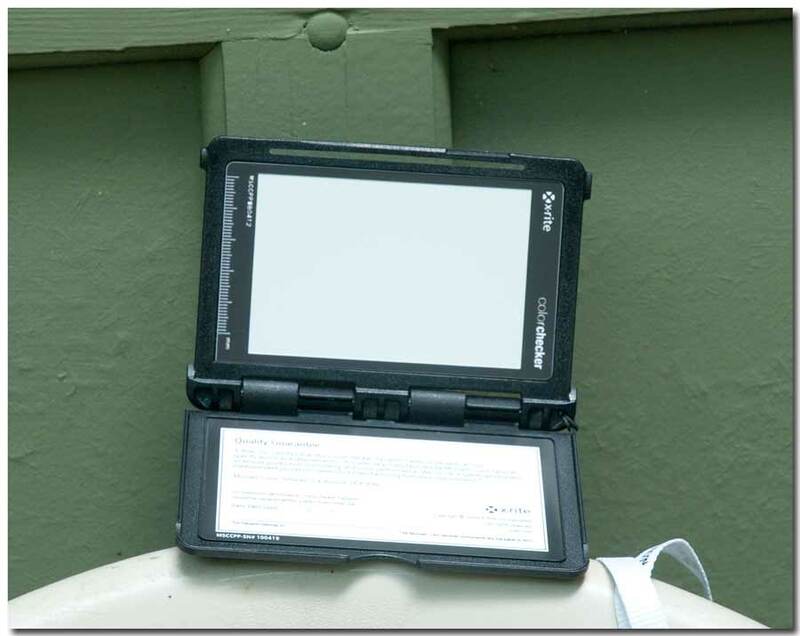 There is precious little to show the eye and capture the attention of that homeowner who is ready to get it done. When one of these websites has a place for you to put a photograph, by all means do that and show it off. You might consider a page on Facebook to "show your stuff" and develop business contacts. For a fact, photos work on the social network websites! Well done and clean photos work best and a cell phone generally will not allow the editing needed to show your best at the best. 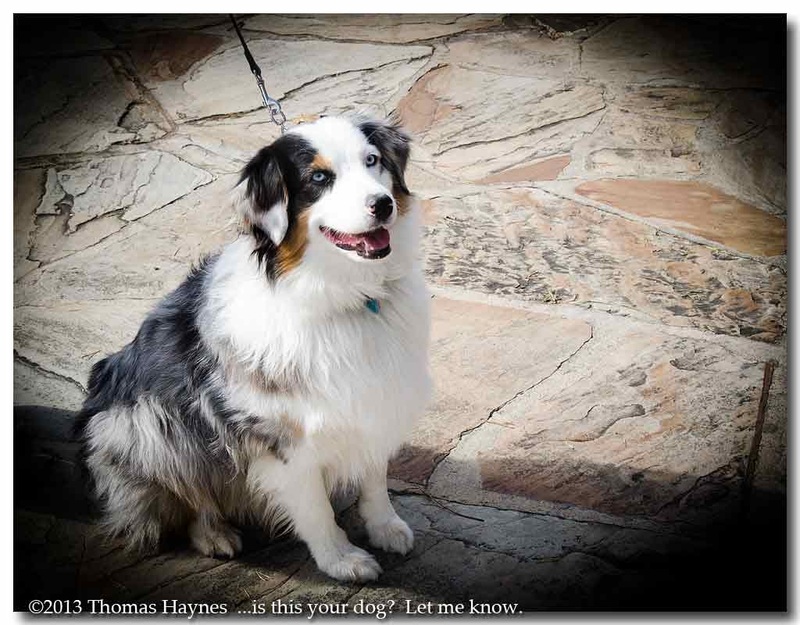 Thomas Haynes Photography is the photography behind it all and the services we provide. This blog is aptly named Thomas Haynes Photoshoot because that is exactly what we do. We work out of Clinton, Tennessee and in reasonable travel distance through the greater Knoxville area and surrounding counties, including Anderson(Oak Ridge), Roane and more. The contact form at the right side of the page will get your message to us and we will respond quickly via email or a phone call if you prefer that. This tells us to get with you and open wider communication. 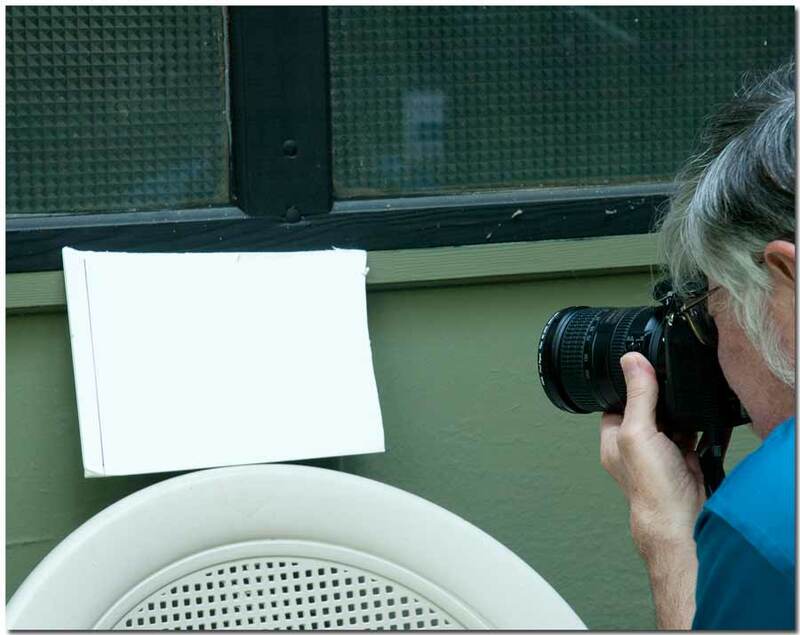 We will set up a face to face meeting at your place with Thomas Haynes, primary photographer. Discuss what you need, plan it out, take a few free sample shots and go from there. Photos are edited for Internet, social websites like Facebook, printed marketing and for framing and hanging on the wall if that is what you want. Prices vary with the job but are quite reasonable. Are you planning an event..a gathering of people, kids, people and pets..a block party perhaps and want photos? We do that kind of journalistic, on the spot photography. For an event, we might also set up a very casual do-it-yourself photo booth for a fun self posed slideshow memory of smiles. Do you have a field of llamas to show? (no joke) Do you raise special cats or dogs? We are open to discussing your photo needs, whatever that might be. We have a small staff and generally work with small to medium situations on location. Often for event and multi-sided happenings...a slide show of images may be recommended. We also edit images to sizes for Facebook™ and other popular websites. Our theme is "See Us Now", meaning to show what you are doing now in your business offerings...or in personal events. We always need to meet with you first to work out the ideas and details. We will come talk with you to see how our photography fits into your plans.and there is certainly no obligation. This example of "Making Gingerbread" shows a type of photography suited for a blog or website. 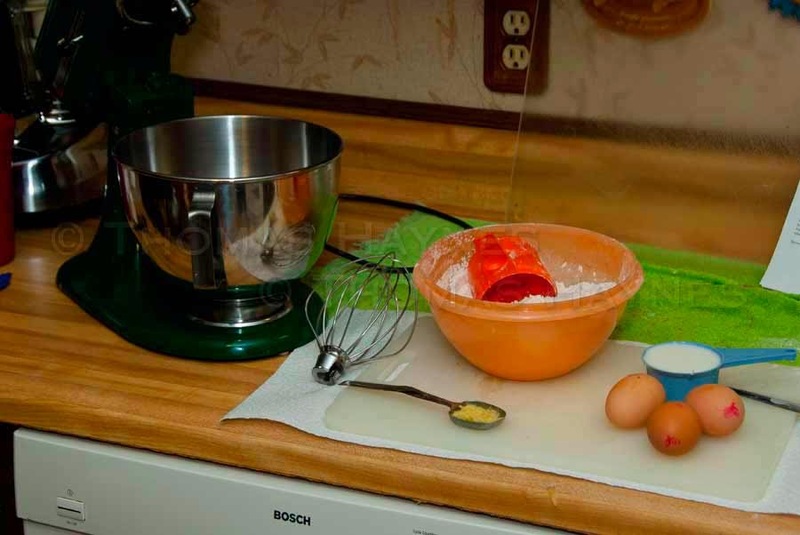 This set was actually shot as a personal recording of the baking process. Do you need eye catching or mouth watering good photos for your readers and customers? Get with us soon, talk about it and let us do a sample or two for your consideration. 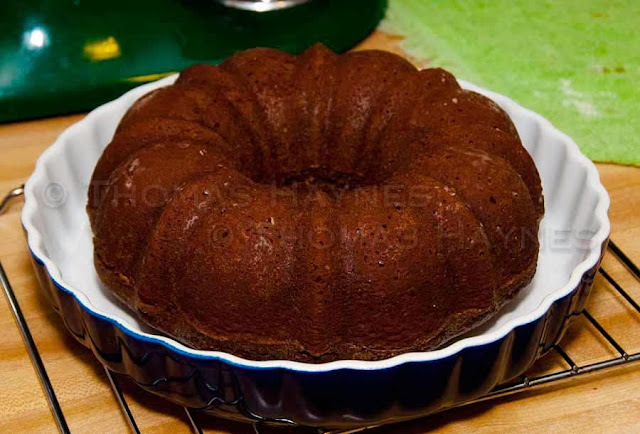 A Bundt pan is traditional for holiday gingerbread cake but sheet pans work well also. The Gingerbread Cake was a perfect holiday delight, served with warm lemon sauce on the side. Are you ready to show your best work with eye catching photography? Contact Thomas Haynes Photography with any thoughts or questions before the season gets too, too busy. The new website in the previous post will not be for now..that is the recent business decision. For now it is this..the Thomas Haynes Photoshoot Blog of Thomas Haynes Photography. We still will call specialty commercial photography the See Us Now part of our work, the place we first publish your work at its best, what you do whether it be remodeling, catering, landscape and hard scape, water ponds, general construction, wall paper service, raising horses, llamas, baking breads or building barns, out buildings and more. The idea is simple: We use our photography skills to show your work in the best light. Our full photography website is where your photos and slideshows are kept, where you access what you need or where you send clients to view your work. The idea is to showcase to your potential and present clients what you have done NOW. In striking images we illustrate why you are the choice for the services you offer. With our photography of your work, you can proudly say "See Us Now" via Internet website and social media, email and print. Working in the greater Knoxville area of Tennessee, including Anderson, Roane and surrounding counties, Oak Ridge, Clinton, Kingston and more, we believe there are many businesses who will benefit from our marketing photography. We do on site and in-house photos...in your business house for you as you need it. Championship level mules, Frozen Head Natural Area, Morgan County, Tenn.
We do wish the new dedicated website was soon to be but it is not. We must focus locally to begin further development of the SEE US NOW marketing concept for our clients. We want you to see photos what you do as seen through our eyes and how those images can catch the attention of customers. Take a minute to see photos we have taken. Clink the link highlighted below. Photos of job site, animals, pet rescue organizations...structures and property including real estate...art imaging...technical photography...events of intimate scale such as the block party shown...high dynamic range photography. Email and ask about what you have in mind. Click here for a sample of photos from the primary website where your gallery and images will be stored. Contact now to schedule a face to face meet with the primary photographer. 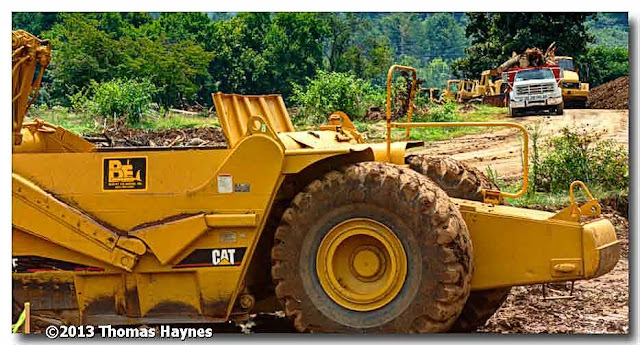 We will come to you and talk about Thomas Haynes Photography creating a visual attention getter for your business services. Ok, why the mules? 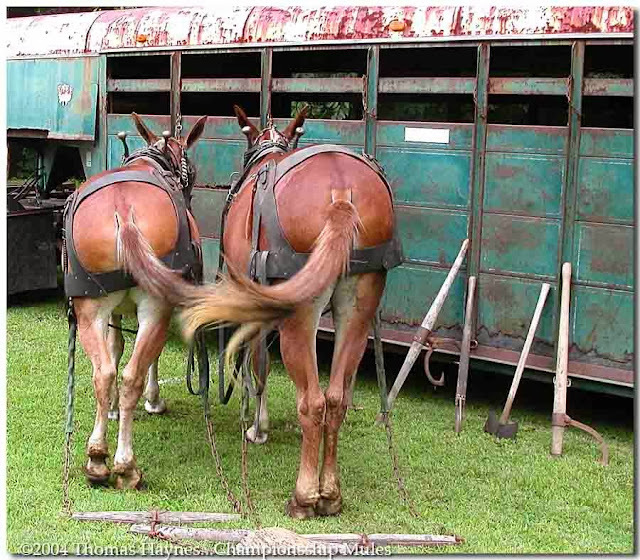 These are competitive champion mules seen at the Frozen Head Natural Area in Morgan County, Tennessee. So happens, mules are part of the business. 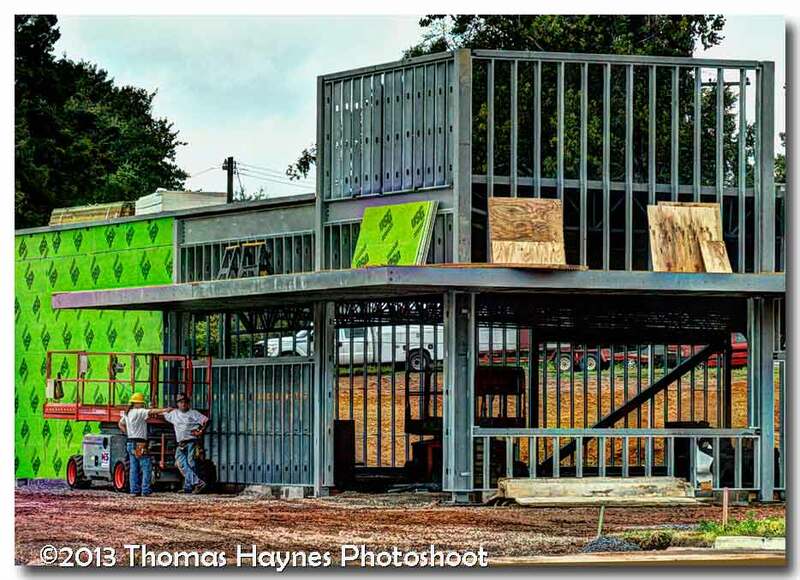 See post below for link to example of panorama virtual tour presentation.